These Yawgmoth's cards don't mess around. Like, we're talking some all-time bangers. Well, you're not just gonna let em sit there Karma'ing you without there being consequences, are you? 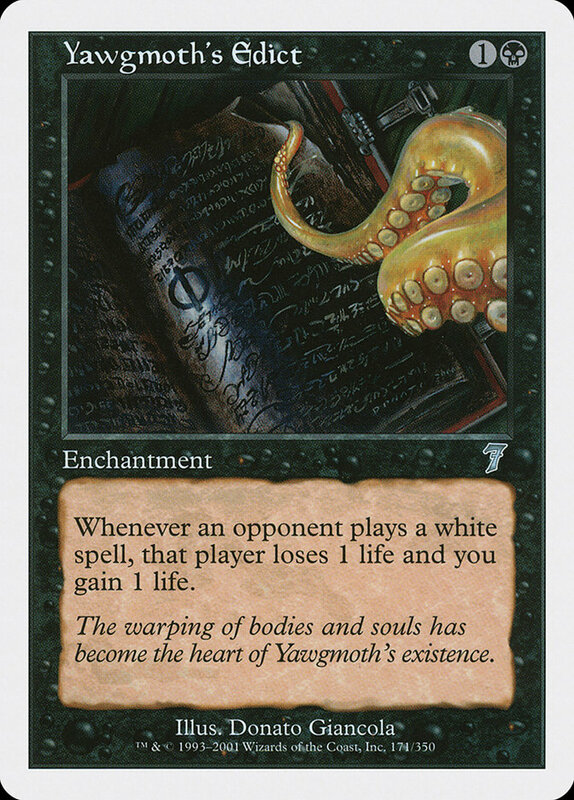 Yawgmoth, the Ineffable, is back (for like the tenth time since dying); and while there still is no Yawgmoth card (he really is dead, dead), his legacy lives on. Dominaria's Yawgmoth card is the first to reveal The Lord of the Wastes' true appearance, and it's a doozy (both the card and his true appearance). 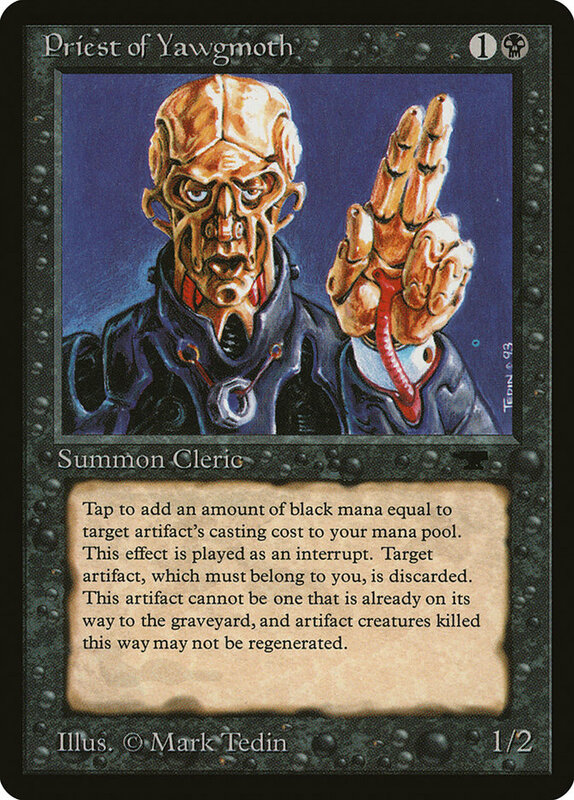 Yes, that is Gerrard Capashen offering Urza's severed head to Yawgmoth as offering. Look, it's a long story. Yawgmoth's Vile Offering is a helluva Rise from the Grave variant. ...And you get a Hero's Downfall thrown in for free. How good is a free Hero's Downfall? Well, it's not just a "free card." You're also getting a Black Lotus worth of mana, since you don't have to pay for the Hero's Downfall. Both halves are even optional, so if you don't have anything to get back, but just need to kill something, or vice versa, you've got those options. I mean, obviously Rise from the Grave wasn't as good as it gets, but it wasn't the worst either. 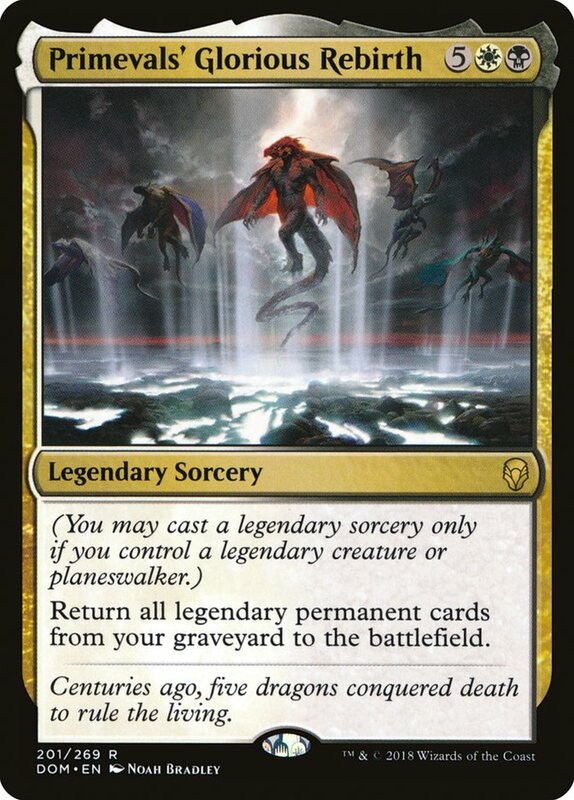 The only added costs here are exiling itself (no biggie) and needing a legendary creature or Planeswalker to play it, on account of being a legendary sorcery. Tougher, but very doable and not that big a deal. 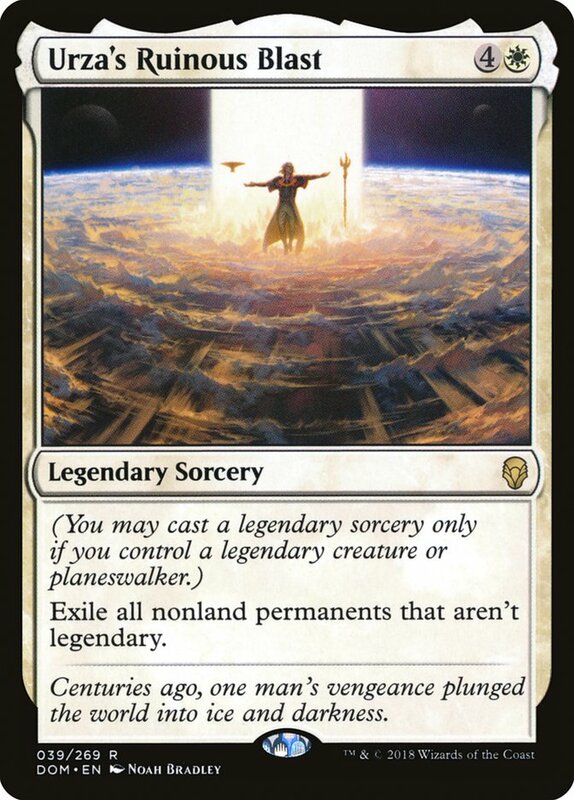 How many legendary creatures and Planeswalkers do you need in order to play legendary sorceries? There's no easy answer, but I think it really depends on which ones you're talking about. 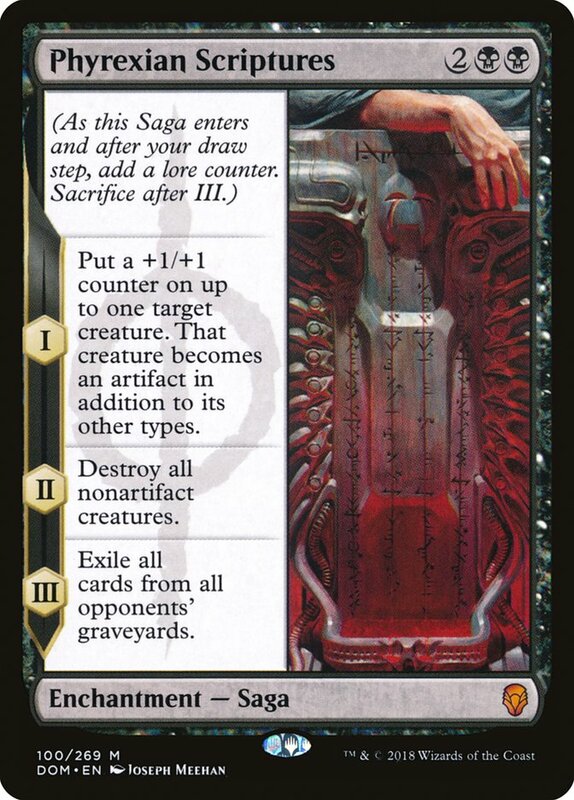 For instance, if you're relying entirely on stuff like The Scarab God to play Yawgmoth's Vile Offering, you're probably talking about battlefields where things are going pretty well to begin with. Resilient Planeswalkers that costs four or less might be just what the doctor ordered. Besides, Karn seems like no joke. 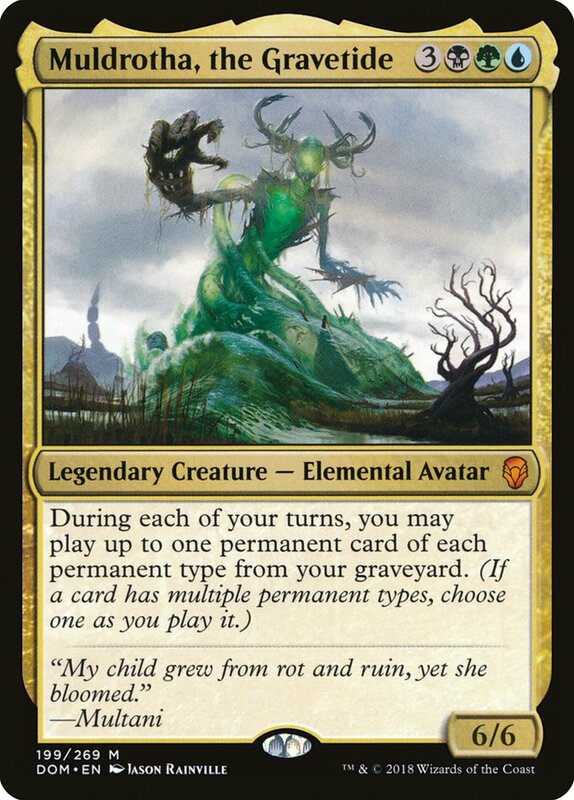 A colorless four-cost Planeswalker that starts drawing cards immediately, he also puts a weird sort of pressure on your opponent from the cards they don't give you. Now, there's a growing list of cards they've got to play around, since you could access them at a moment's notice. Even if they kill Karn, you could drop another one and get a Silver-ed card from the first Karn. 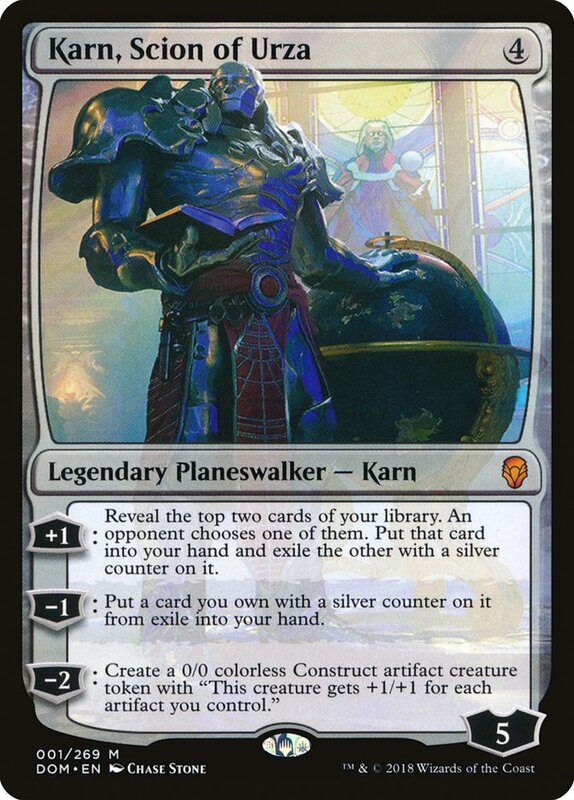 What's more, Karn has a lot of loyalty, and while he doesn't have a true ultimate, his -2 ability is going to be amazing in some decks and a reasonable added dimension in others. 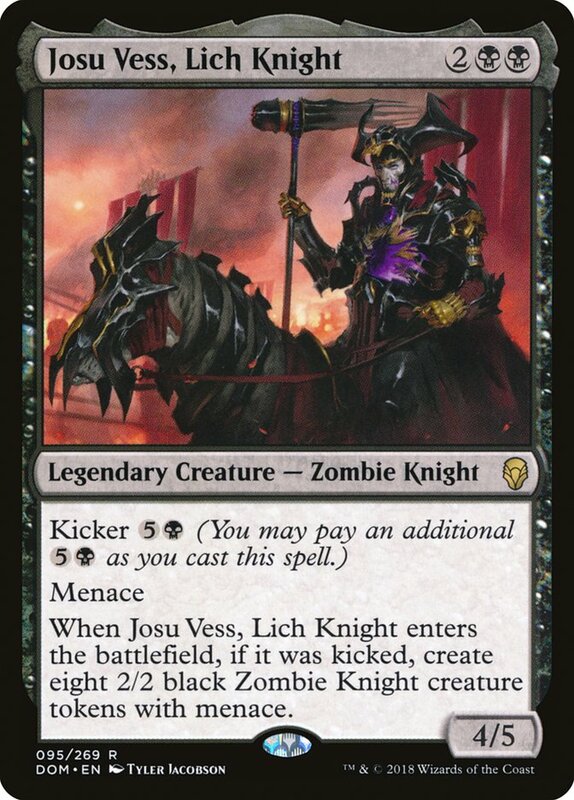 Of course, opponents aren't just going to sit around and let you Karn, turn after turn. It's not the same as relying on a The Scarab God (sic), but there are cards even better suited to enabling legendary sorceries. 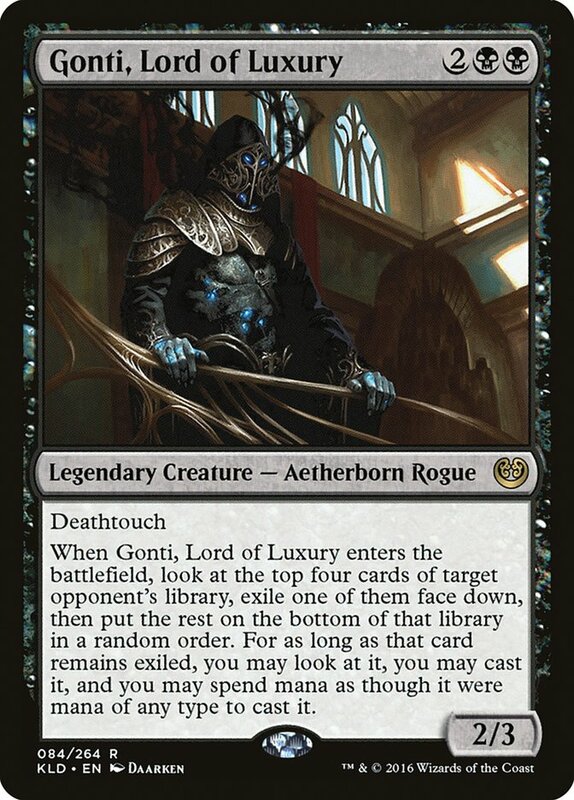 Gonti, Lord of Luxury is an absolutely awesome Yawgmoth's Vile Offering enabler. It's a very good card in its own right. It comes down before YVO. 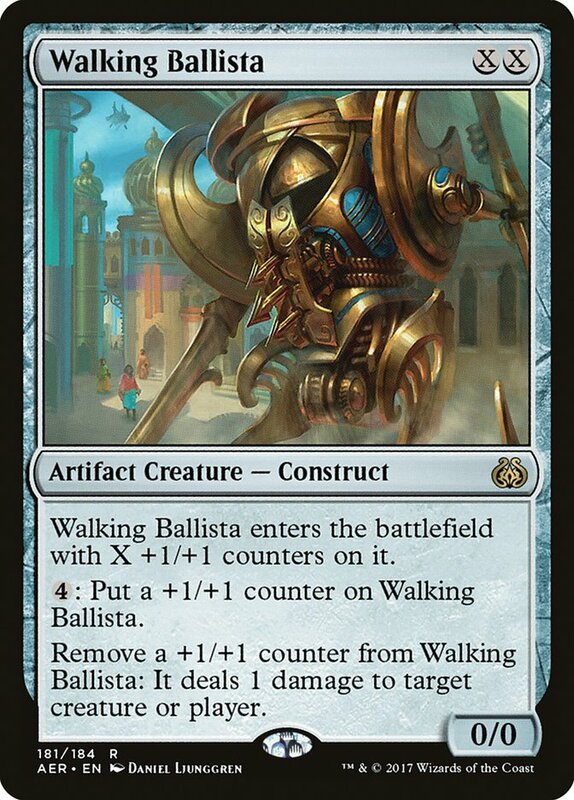 It gets a lot of its value from its enters the battlefield trigger, making it much less attractive of a card for opponents to kill. 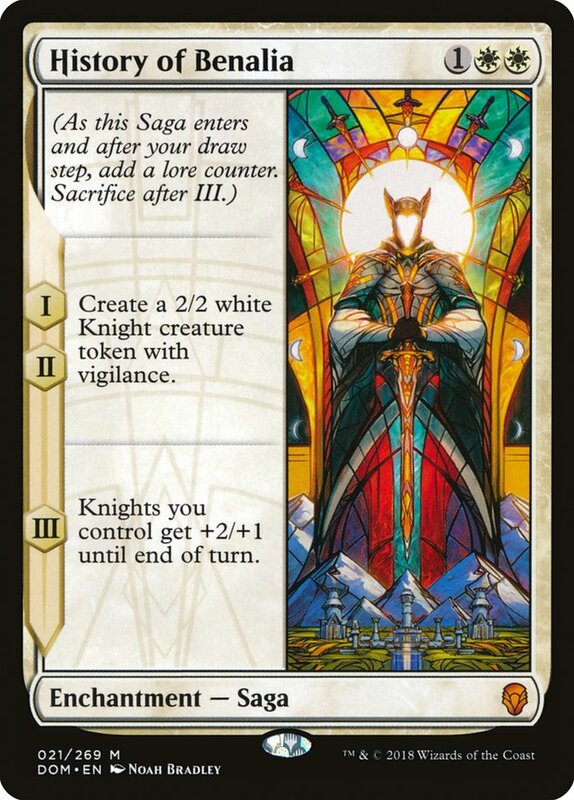 Even if they do kill it, it already got value and is a great card to get back with YVO. 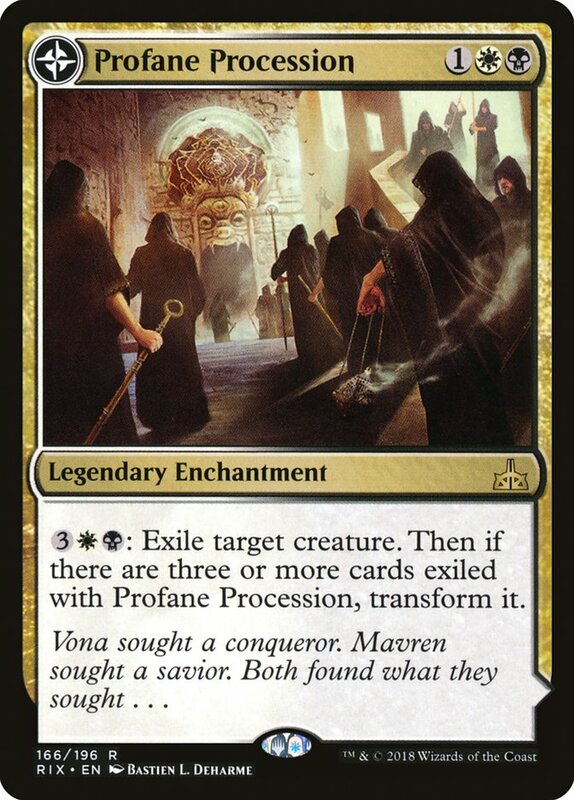 Now, it's hard to say just how much we should be trying to leverage YVO as a way to cheat mana, versus just looking for a reliable two-for-one. 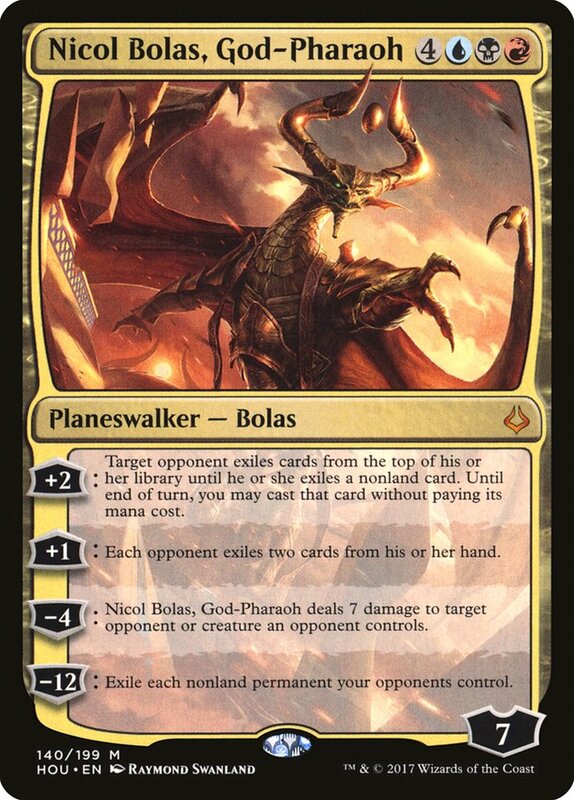 For instance, there's an undeniable appeal to using Yawgmoth's Vile Offering to get Nicol Bolas, God-Pharaoh down early. Seriously, a turn 5 Nicol Bolas, God-Pharaoh is absolutely devastating. 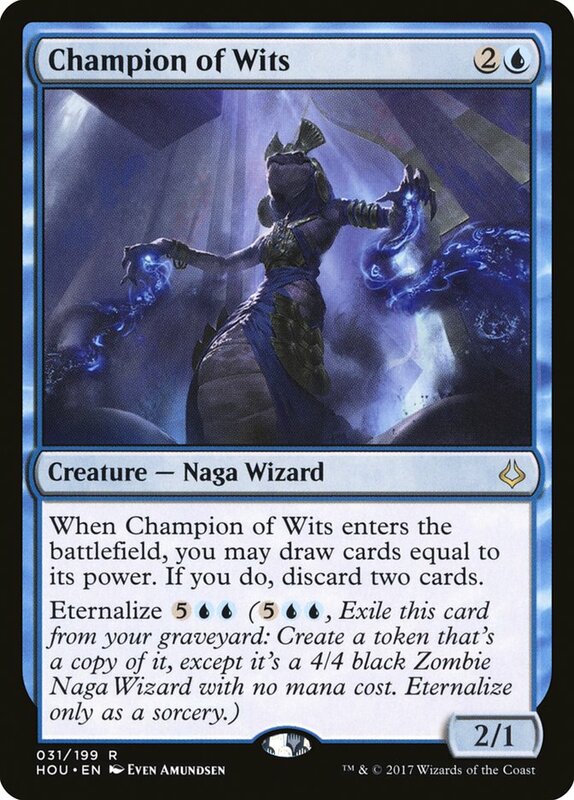 The question then becomes what ways do we have to get Nicol Bolas into the graveyard? Two of the most attractive to me, at least out the gates, are Chart a Course and Champion of Wits. 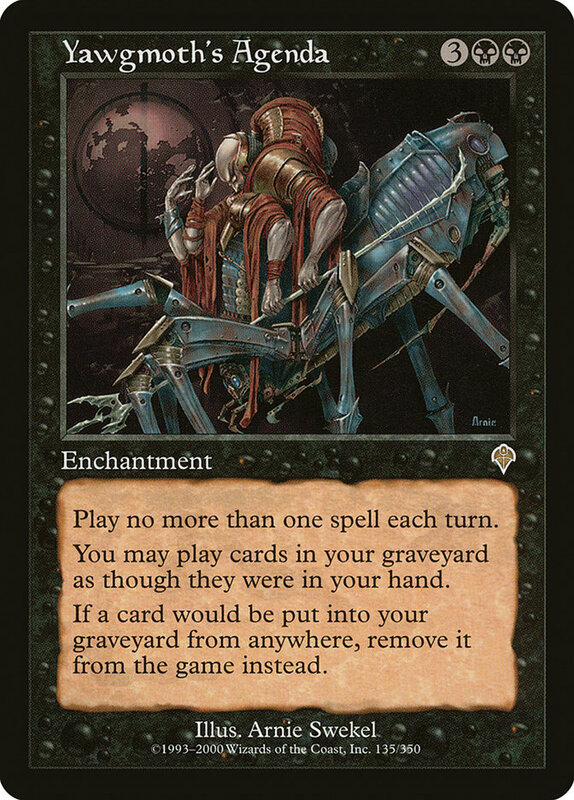 They're efficient enough that we're not even really paying a premium for having the option to get Nicol Bolas into the graveyard reliably. They're also likely to synergize well with a lot of the other cards we might want to surround YVO with. Strategic Plannings might be okay, too; it is a quality card. It's just better in decks with tons of graveyard interactions, decks that care about quantity. If we're trying to reanimate Nicol Bolas, we're really going to want to be able to discard exactly Nicol Bolas. 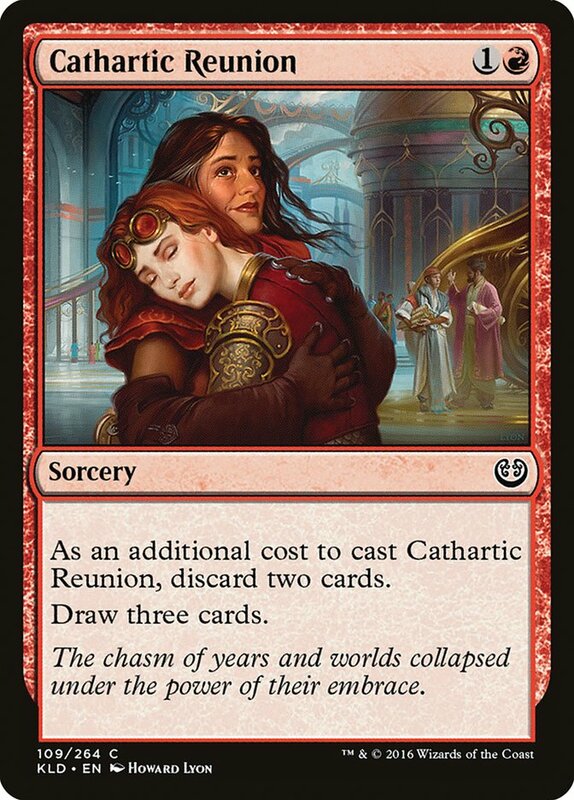 If we end up with a more dedicated form of reanimator, or perhaps if we're just not playing much blue, Tormented Voice and Cathartic Reunion are reasonable options (assuming we can risk having them countered). 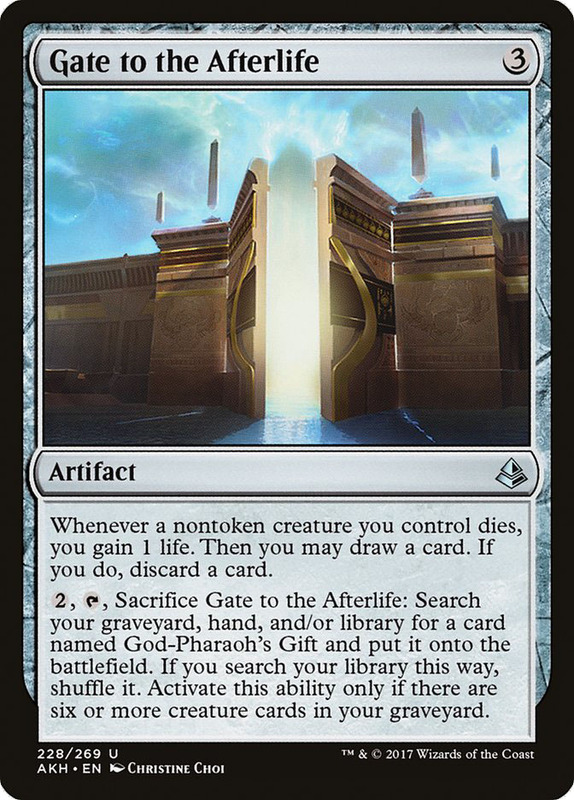 Depending on what the rest of your deck looks like, Gate to the Afterlife could be a very strong option for looting. 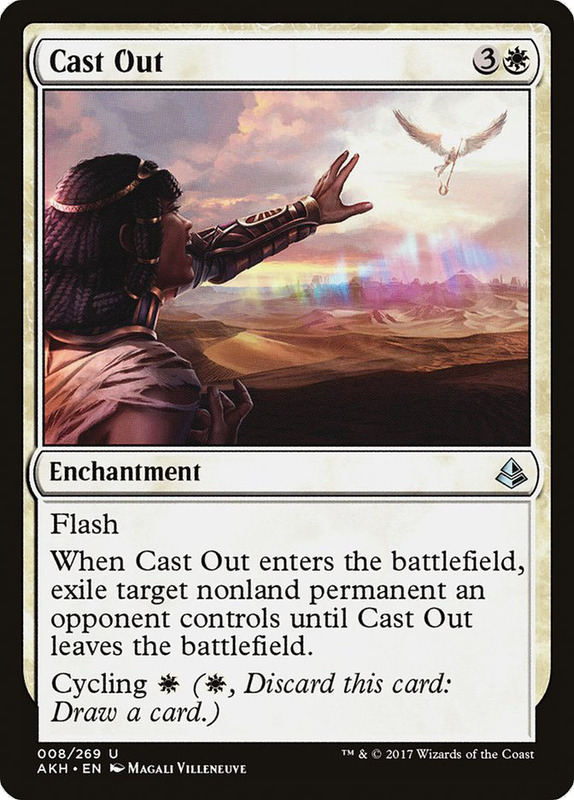 The only thing is, once you're going down the Gate to the Afterlife road, there's a ton of incentive to make your big threats creatures, so that God-Pharaoh's Gift can get them back. 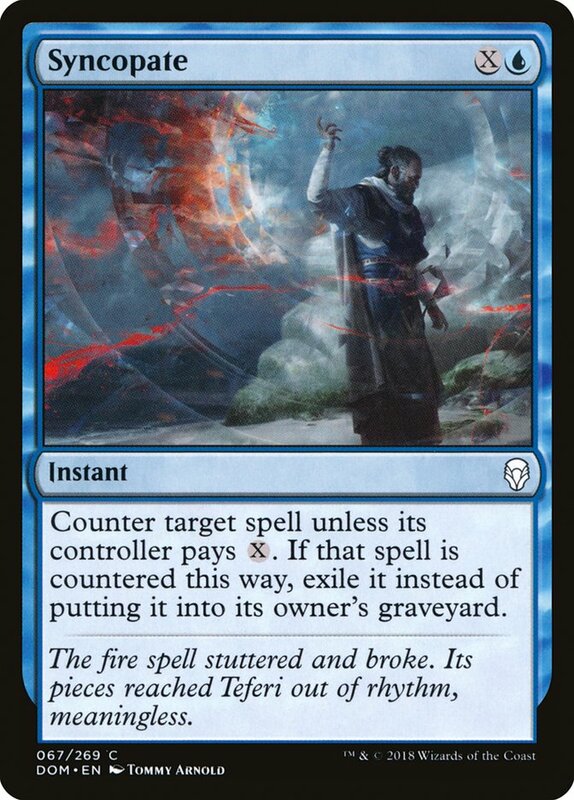 It might be a little tricky to fit many counterspells, but not impossible. If you play even a single one, you can use Baral to loot away Nicol Bolas and set everything up. 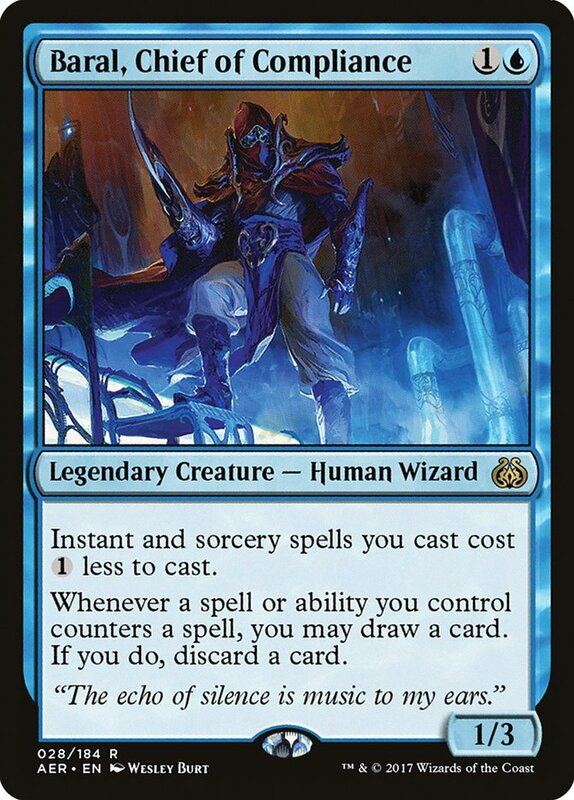 Also, Baral Chief of Compliance is a cheap legend for YVO, and even makes it a mana cheaper. 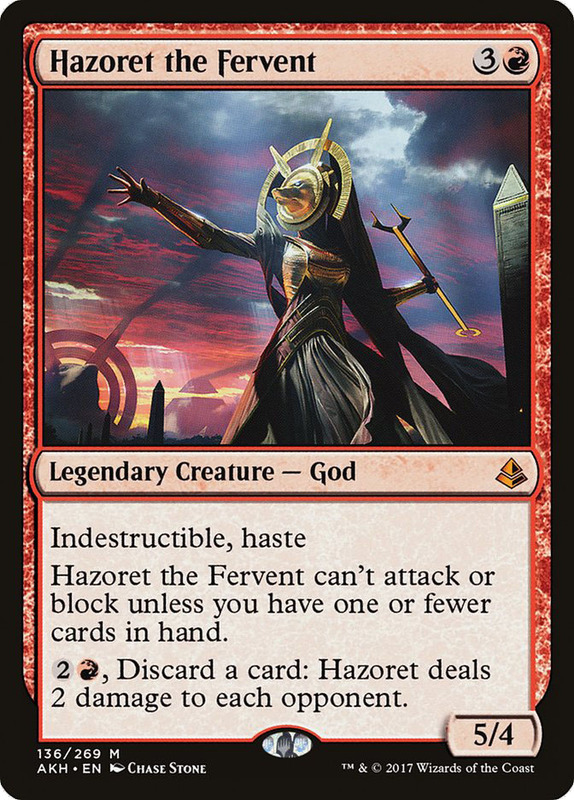 Hazoret isn't the most natural pairing with Nicol Bolas, but it is fun that you can both use Hazoret as a discard outlet and as an indestructible way to power up legendary sorceries. In fact, all of the Amonkhet block Gods are very reliable ways to enable them. Pia Nalaar is a similar sort of legend to Gonti. They're not going to want to kill it, and even if they do, you're likely to get the best of the exchange. Blink of an Eye is a quality card to start with, but it also has some nice synergy with Nicol Bolas's discard ability. 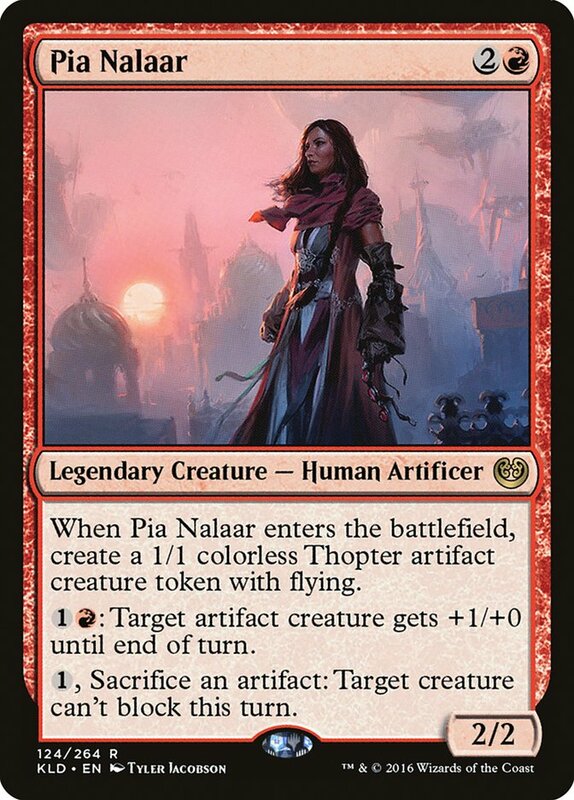 Besides, just bouncing your own Champion of Wits, Pia Nalaar, or Gonti, Lord of Luxury can be a really solid card advantage play. 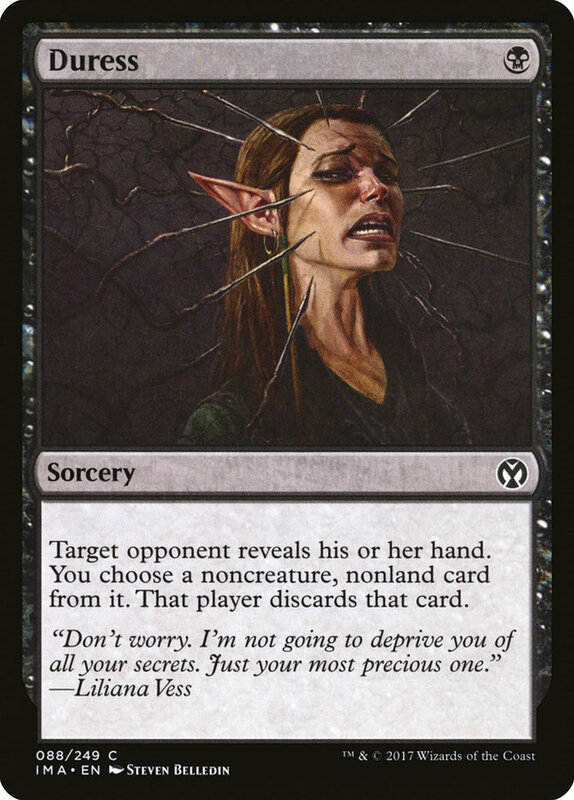 While we probably want to sideboard Duress anyway, I just wanted to call out that Duress can only target opponents, and as such, can't be used to discard your own Nicol Bolas or anything sweet like that. I think Syncopate is a fine card, but Supreme Will fits better in a deck with Chandras and Karns. 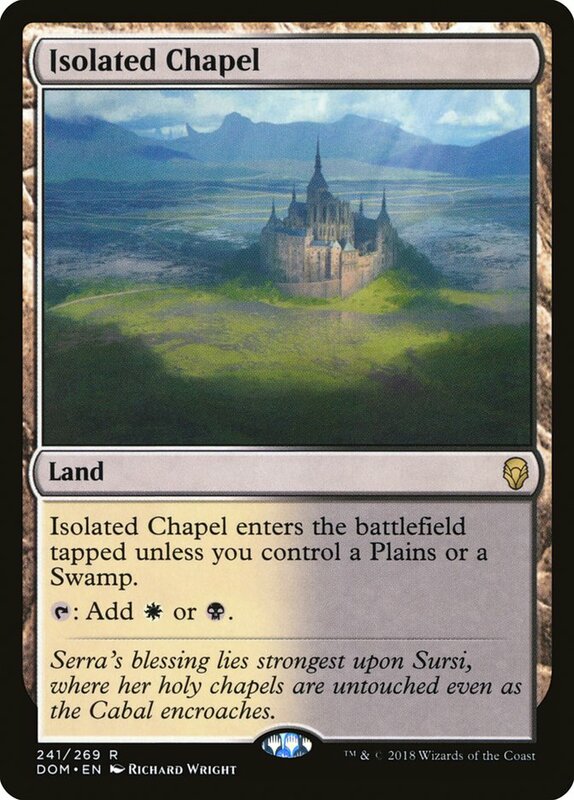 Besides, you really don't want to get stuck holding Syncopates in a deck full of tapped lands. Yawgmoth reanimating Nicol Bolas is obviously as awesome as it gets, but if we wanted to instead look at grinding out value, maybe green's the ticket. While this isn't the Winding-est Constrictor deck of all-time, I'm not sure what else we'd play, yet. Glint-Sleeve Siphoner, maybe? 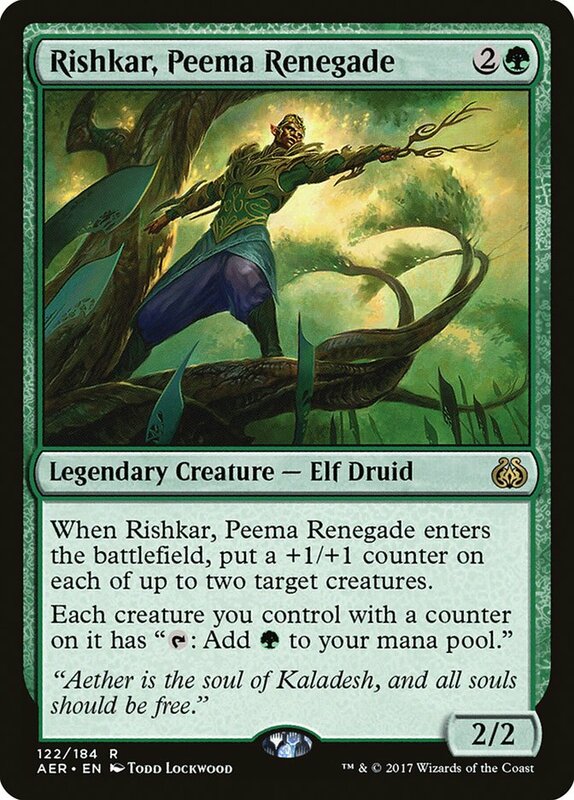 Besides, Winding Constrictor is great with Rishkar, Peema Renegade, which is one of the better Yawgmoth's Vile Offering enablers. Rishkar has some of the Gonti/Pia action going on, in terms of leaving you with some value, even if they kill him. What's more, the acceleration helps a lot when we're playing an above average number of fives and sixes. 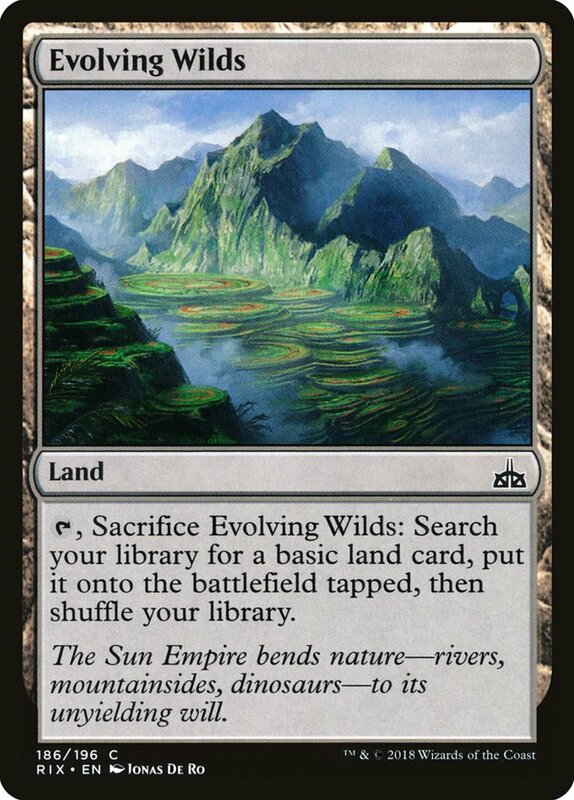 Eleven sources of green on turn 1 isn't all that much, but this card is really good. Just thinking about Jadelight Ranger or Rishkar on turn 2 sends a shiver up my spine. 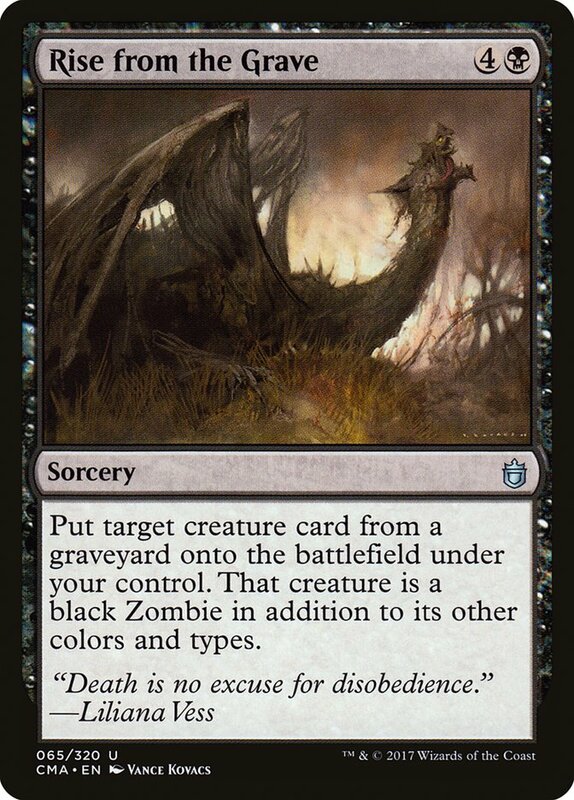 While most of the response to Muldrotha, the Gravetide has been through the lens of Commander, this card looks really exciting to me in Constructed. 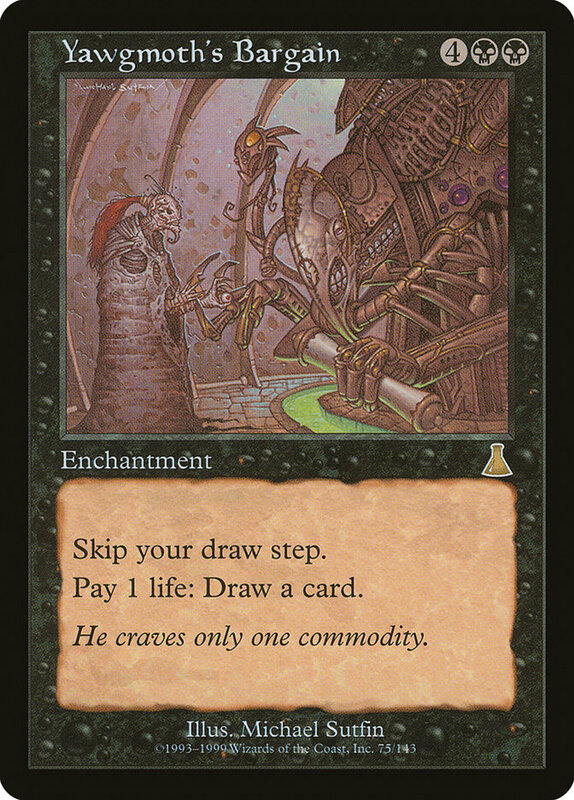 Don't get me wrong, there's a ton of competition for expensive cards, and it costs more than The Scarab God, so it's going to have its work cut out for it. Nevertheless, this is an incredible ability, and a 6/6 for six isn't exactly the worst body. 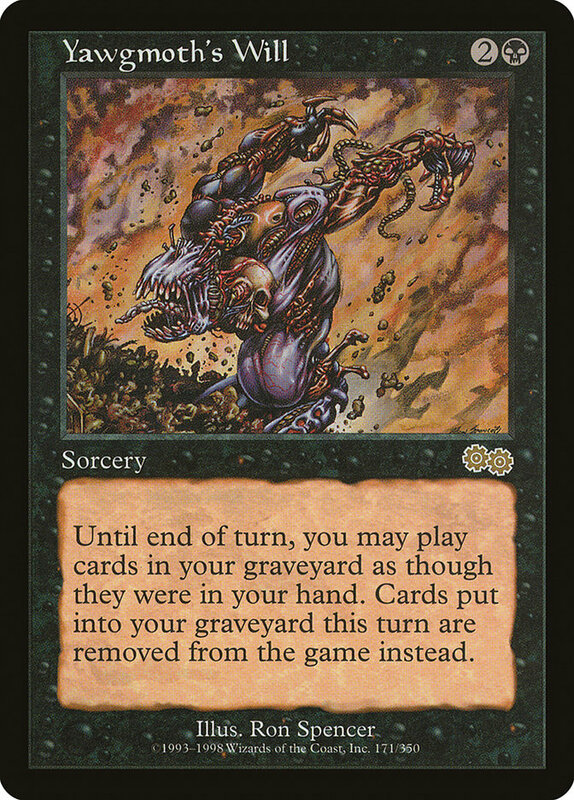 While we still have to pay for the cards coming out of the graveyard, it's like we're drawing several cards a turn for "free," in that we didn't have to pay to get the extra cards (which we would have had to pay for anyway if they had been drawn). 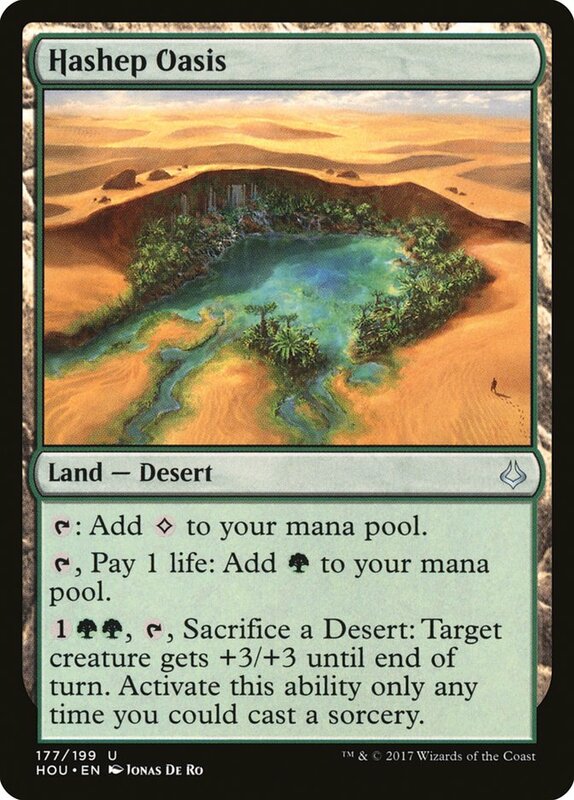 Balancing the mana is tricky, but we might also consider some Deserts. They make great lands to get back with Muldrotha, no question. 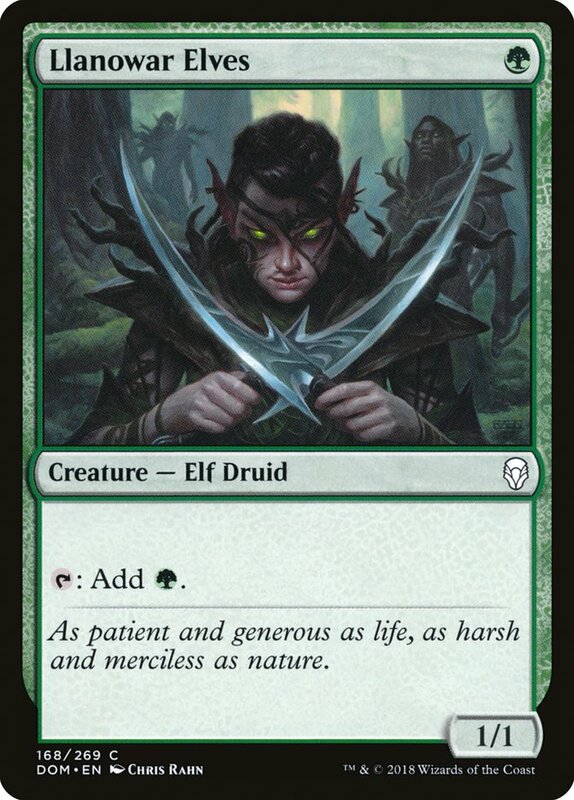 I would have liked to find an enchantment worth playing in here, like Oath of Nissa, but so far, nothing coming. 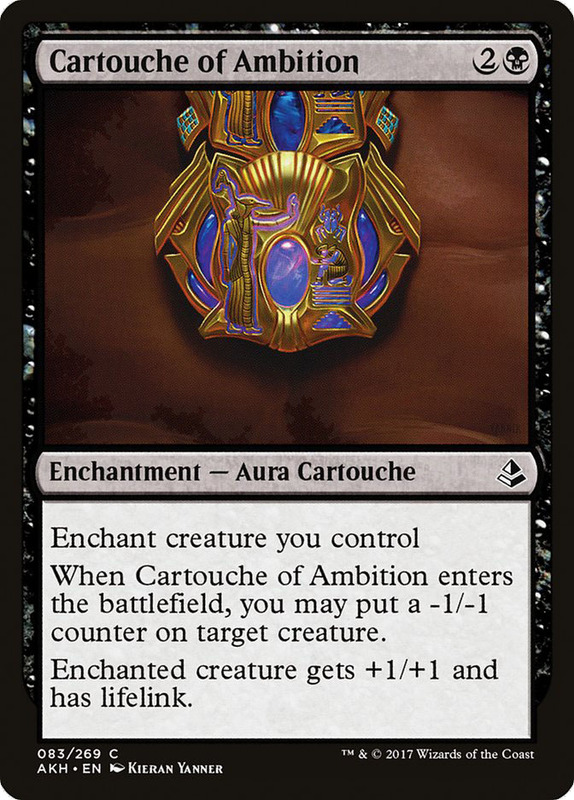 I guess we could consider playing Cartouche of Ambition, but I want to be careful not to bend over backwards to support two copies of a card that has such a big impact, we're probably winning anyway. 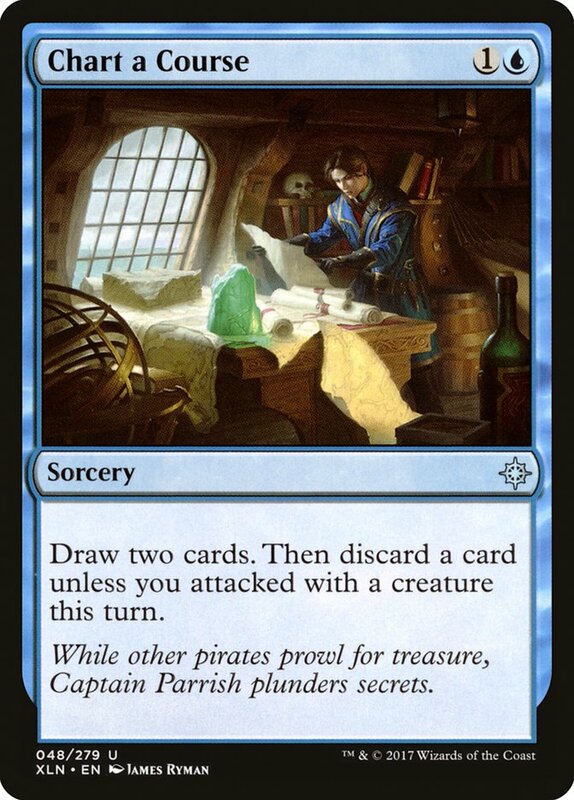 Still, that sounds like a solid sideboard plan to consider anyway. 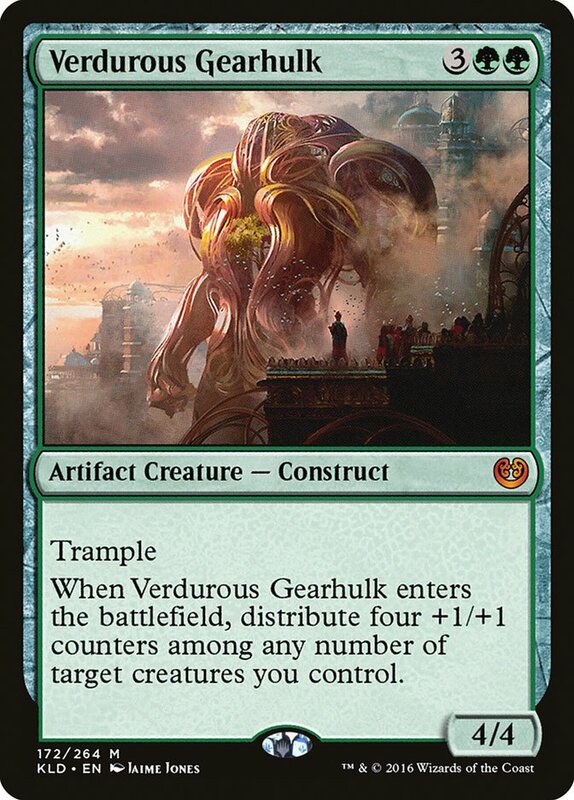 It would take a heavy commitment to a fourth color, but Cast Out would be a pretty rad card to get back with Muldrotha. Realistically, I think the most likely home for Muldrotha is as an occasional one-of in midrange-y Sultai decks (Vraska sets a high bar). 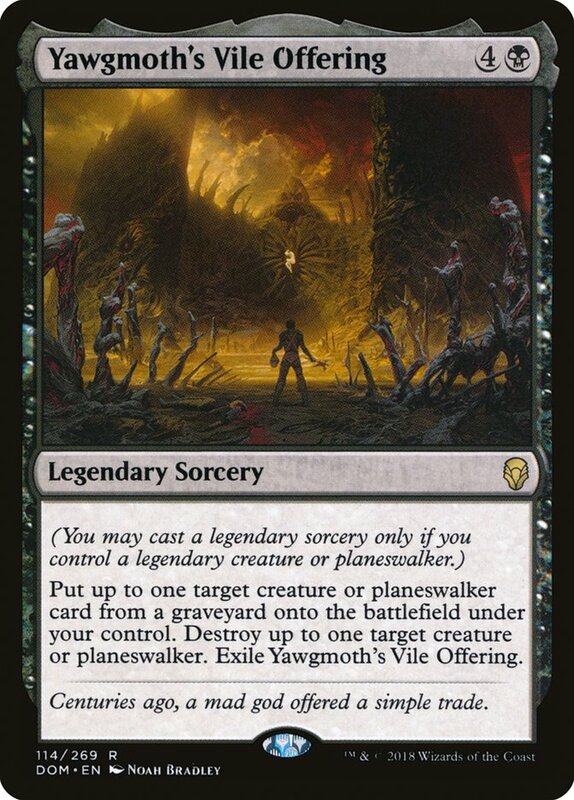 Another interesting aspect of Yawgmoth's Vile Offering is the possibility of using its legendary status as an advantage. This version looks too slow, but there is something interesting about Board the Weatherlight being able to hit cards like Yawgmoth's Vile Offering and Urza's Ruinous Blast. 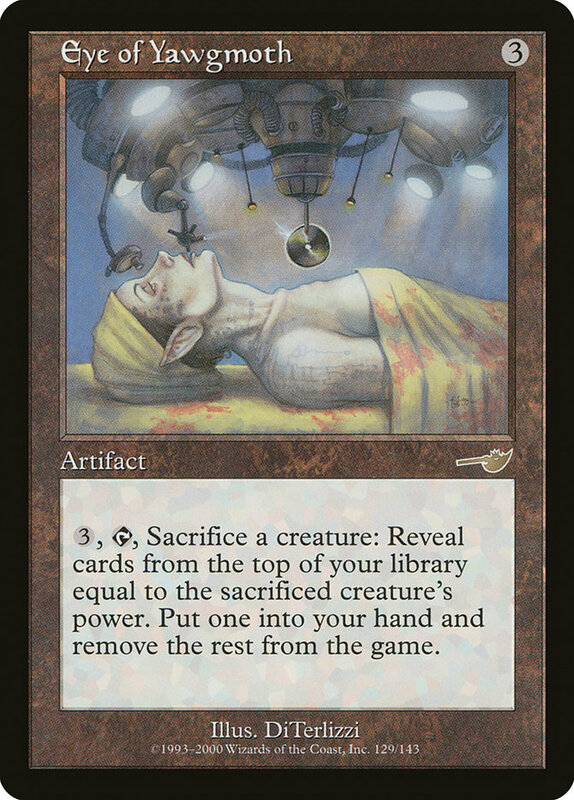 Urza's Ruinous Blast kind of precludes our ability to play Cast Out and Seal Away, but there are plenty of other options at this point. I considered Inventors' Fair, but I think it's hard to run one without the artifacts to get more out of it. There are just too good of other lands we can play. 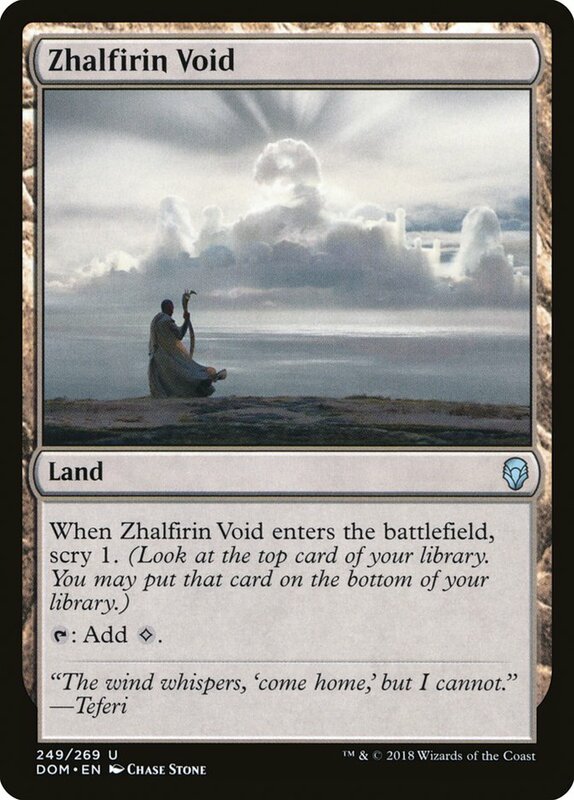 Colorless lands like Zhalfirin Void (and Inventors' Fair, if we do end up deciding we want it) are a lot easier to support now, thanks to Isolated Chapel. A second set of good duals for the enemy color combinations is going to really change some things. Clifftop Retreat is a big deal for Path of Mettle. 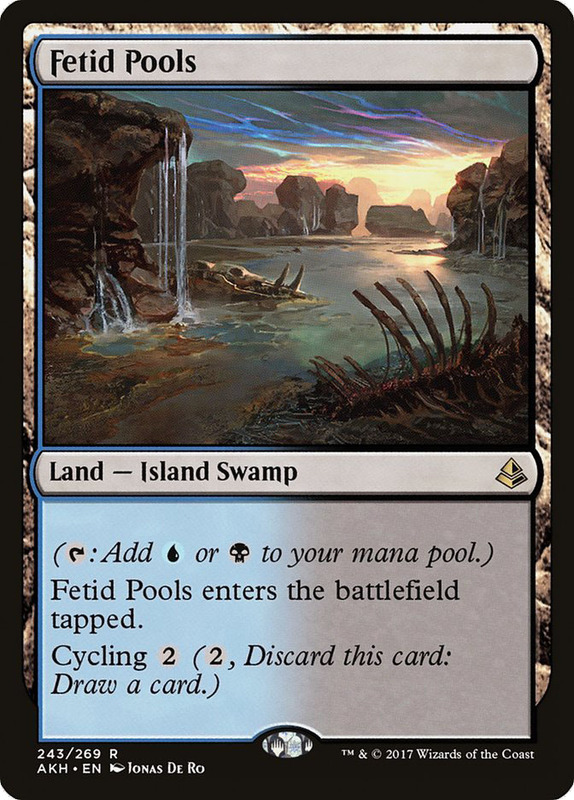 Hinterland Harbor might be a very important inclusion for Merfolk. 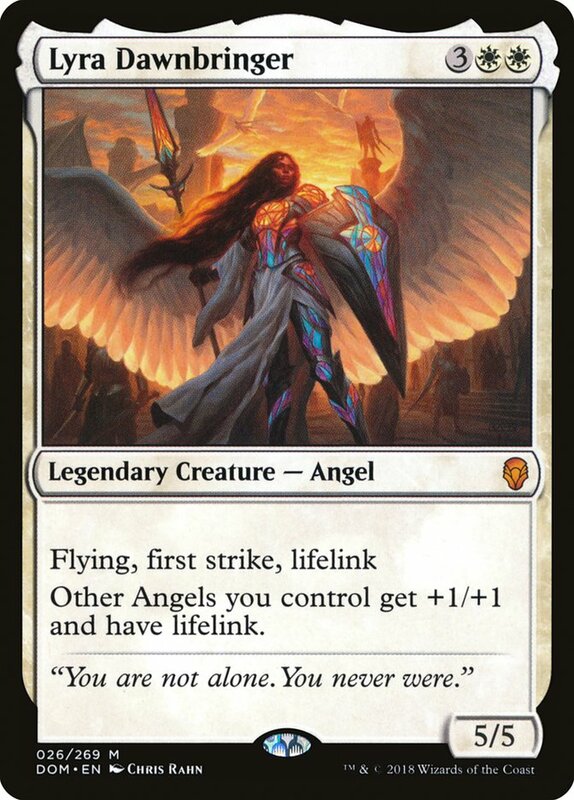 The second coming of Baneslayer Angel, Lyra Dawnbringer is absolutely awesome. Even though we're not making much use of her +1/+1 ability, weren't always making that much use of protection from Demons and Dragons either. This card is great with everything. 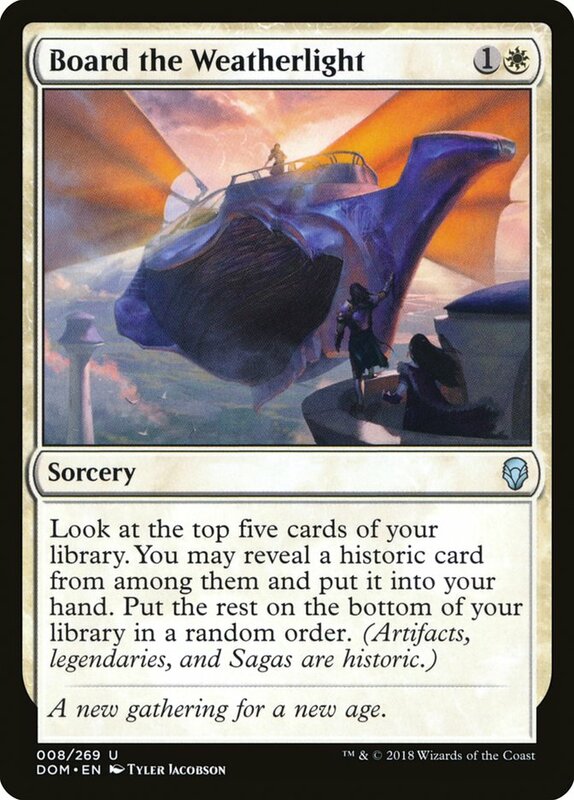 It's a resilient legendary sorcery enabler, it's a great combo with Urza's Ruinous Blast, it can be found with Board the Weatherlight. Basically, Gideon does it all. There are some obvious overlaps in strategy between Yawgmoth's Vile Offering and Somebody's Adjective Noun. This is another spot where we've got to ask ourselves if we're trying to push it, or if we'd be content with a little value? 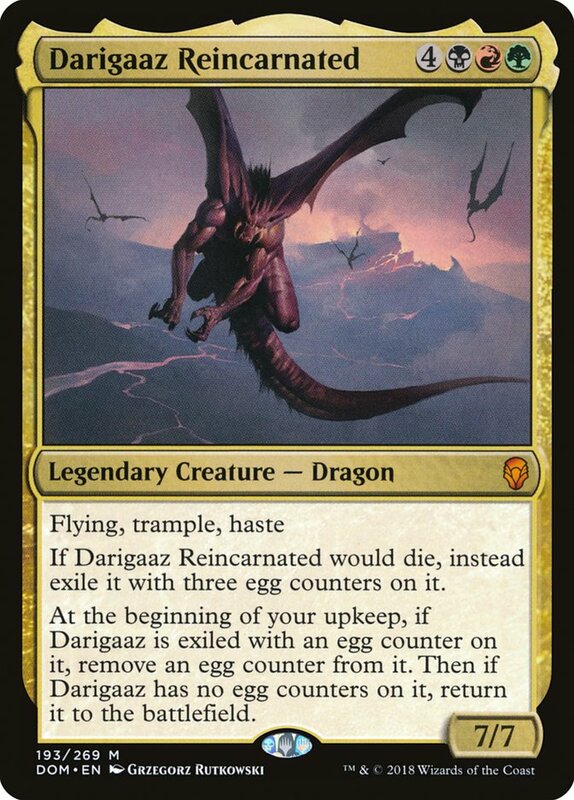 Darigaaz is a really exciting legend to reanimate, if you're looking for a one-hit kill. 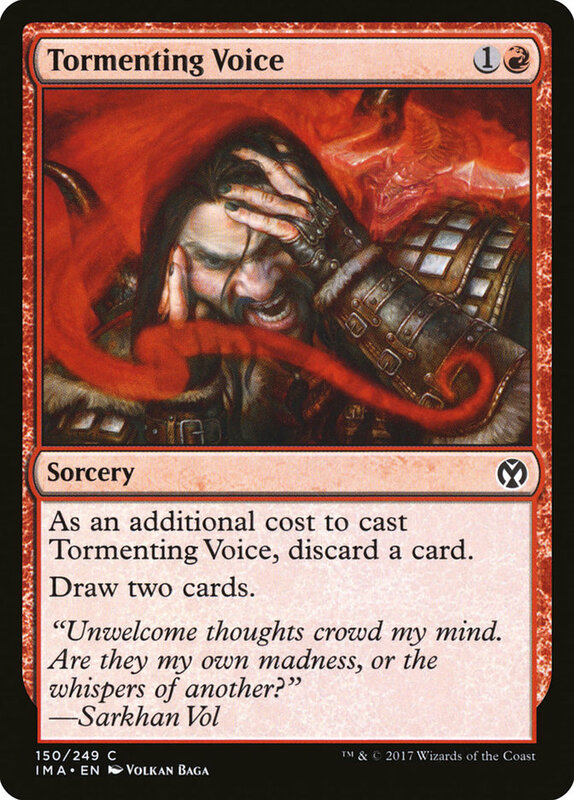 Such a deck might also consider cards like Samut, Voice of Dissent and Garna, the Bloodflame (not to mention Nicol Bolas again). Rather than go so hard on haste, we could also consider Karn's Temporal Sundering. You only get to play so many fives, sixes, and sevens, but some of the above decks might want to consider one or more, as well. 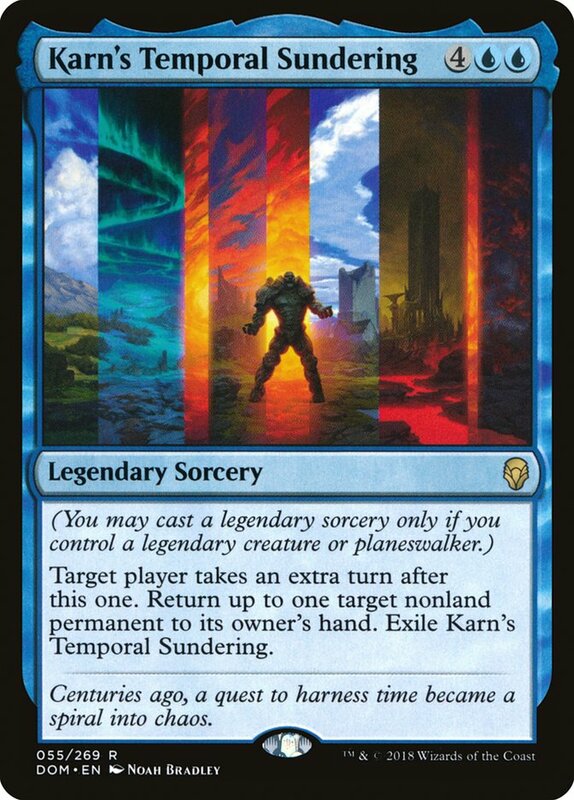 Karn's Temporal Sundering is a lot more than just a Time Warp for six. Getting a free bounce spell is an awesome bonus, functioning as sort of an extra card, and sort of a couple extra mana not having to cast the bounce spell. 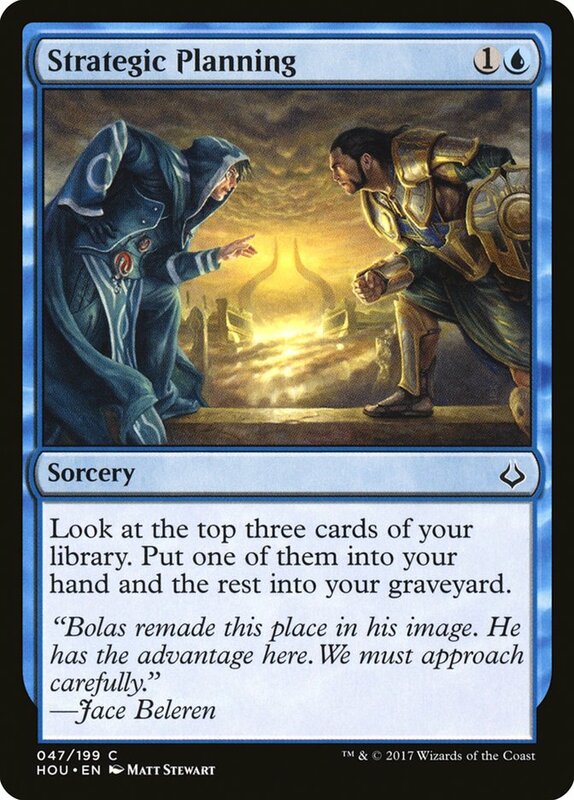 What's more, the extra turn makes the tempo from the bounce spell doubly effective. Besides, just think of the combo with Nicol Bolas! Bouncing and making them discard while getting two actions out of Bolas is already awesome, but even just casting a turn 6 Sundering and then dropping Bolas a turn early can be huge. 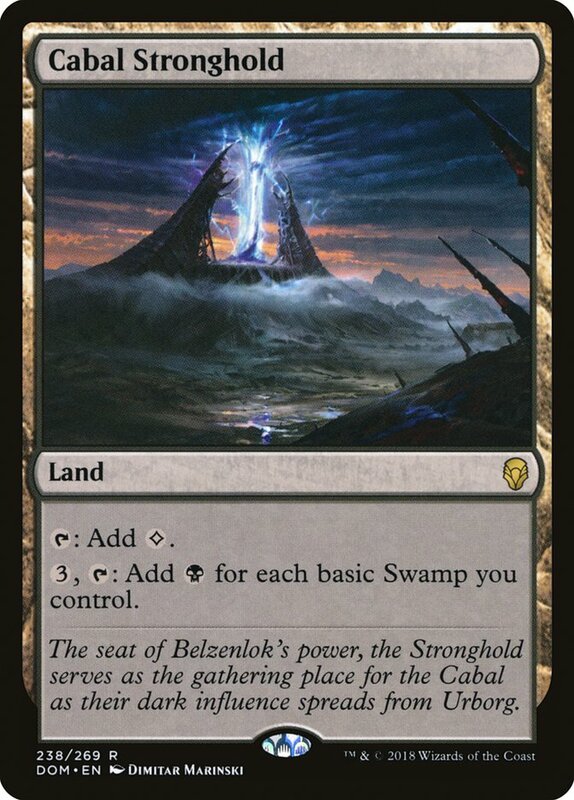 I do like Cabal Stronghold in mono-black, but this list just doesn't look like it makes good enough use of Yawgmoth's Vile Offering for how many sketchy cards it's playing.